Given that Georgia’s laws surrounding divorce are somewhat different from those in other states, it can be common to assume that child support formulas and enforcement are very different as well. However, the procedures are actually fairly similar to those found in neighboring states, and if you are in a position where you may be able to seek child support, there is a fairly straightforward way to do so. Perhaps the most important thing for parents to remember during discussions about child support is that the right of support belongs to the child, not to either of them. Georgia’s public policy holds that parents have a duty to support their children until the children reach adulthood, so as to ensure that they have the most possible opportunities when they reach that milestone. Because of this, courts do not look favorably on parents who attempt to treat support payments as a power struggle. 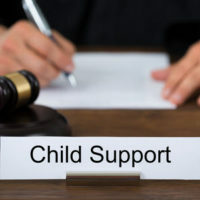 Child support will generally be established in Georgia either by a court order, or by a written agreement between the spouses that the court agrees to honor. If the spouses cannot agree, the court will set an amount, using several different factors to make their decision, including each parent’s current and future earning potential, any medical needs of the child, and many others. Georgia does have child support guidelines in its law, but it is possible to deviate from them in setting a child support amount if the court can justify its reasoning in the divorce decree. Either way, the child has the right to be supported by both their parents, and child support payments are intended to help both parents share the child-rearing load. It is possible to make changes to your child support payments if you receive an unfavorable decision or you believe you are paying too much. Every two years, one party is permitted to request a modification solely because they want to – that is, no other cause is required. However, if one wants a change any sooner, they must show either that (1) the non-custodial parent has either gotten too much visitation, or not exercised their visitation right often enough; or (2) some type of “substantial and involuntary” change has occurred in regards to the obligor parent’s income or the child’s needs. For example, if your child becomes disabled, you might apply for a modification in support payments since the child’s medical expenses will be higher. None of this means, however, that you may make a unilateral change in your child support payments. In Georgia, failure to pay support, or to pay the full amount, can lead to a contempt of court charge, which in turn can lead to fines on top of any arrearages, as well as a jail term if there is a continuing refusal to pay. The state takes the obligations that it has, and the obligations that parents have, extremely seriously, and is willing to act to enforce them, even if the receiving parent does not. Even during a divorce, both parents must put their children first, and as such, it is important to have a solid support agreement worked out, either between themselves or with the court’s help. If you have questions about yours or you need guidance on getting there at all, contacting an Atlanta child support attorney can be a big help. 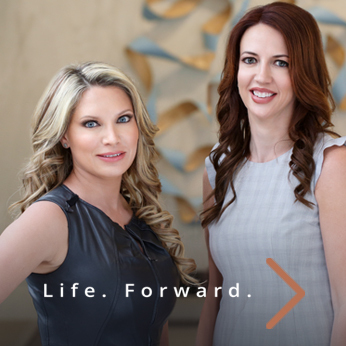 Buckhead Family Law has experience with these cases and is happy to try and work with you on yours. Call us today to schedule an initial appointment.